The factors that affect on traffic safety are human, vehicle, road and environment. In Croatia the leading cause of traffic accident is human, in just 0,2% of traffic accident the cause is some technical defect on vehicle. However, analyzing the information that on the regular annual technical inspection more than 22% of the vehicle did not meet the technical requirements, to assume is that the number of defective vehicles that causes traffic accidents is significantly higher. In order to determine the relevant statistic data of vehicle as a cause of traffic accidents, it is necessary to implement technical inspection of vehicle that are involved in traffic accident. Research objectives are to determine how many defective vehicles were involved in traffic accident, how many of them might have been the cause of a traffic accident, and which elements on the vehicle are possible cause of traffic accident. The article deals with developing a mathematical model of non-rigid aircraft lifting surface with control surface controlled by pilot and supplementary control surface driven by control law. The purpose of this model is to determine if such as concept of control surface and supplementary control surface can be used for active flutter suppression on an aircraft structure. The supplementary control surface is placed next to the control surface at outboard side. The lifting surface is representing by an airfoil placed at 70% of a wing span. A structural model is developed by means of Lagrange differential equations of second kind. Theodorsen model of thin oscillation airfoil with control surface is used for unsteady aerodynamic. Duhamel’s integral of Wagner function is carried out for transformation of unsteady aerodynamic to a time domain. The mathematical model is present in state space representation. There is exemplification of the critical flutter velocity calculation and a dynamical response of the structure. The supplementary control surface for flutter suppression with simplified model is added. Closed-loop feedback control system is formed and a several control laws are presents. The verification of open-loop model is done on behalf of the critical flutter speed comparison with FEM software for flutter analysis MSC.Nastran and flutter analysis program developed at CTU in Prague. The article also presents work on an experimental verification of the open-loop model in aerodynamic tunnel. Computer graphics production is one of the most dynamic branches of IT sphere. Production life cycle optimization is an actual problem, especially for indi-producers and small companies. Research offers a solution based on efficiency`s increasing of preproduction stage of life cycle. This paper is focused on numerical analysis of a hydraulic arm for use on a light goods vehicle. The designed arm is used for loading and manipulation with load up to 300 kg. Its load capacity depends on the light goods vehicle to be placed on. Great operability of this mechanism predetermines its wide application, e.g. in construction, transport, business etc. Firstly, analytical calculations of the forces, moments and reactions are introduced. Further, locations and values of the maximum stress in the structure of the designed hydraulic arm are calculated using the FEM software. These results determine the relevant data necessary for correct design functioning of the machine. After carrying out all the analyses and calculations we will be able to determine the safe use of the designed handling machine and put it into operation. In each transport system are for its total costs key the fixed costs, deriving from regular deployed number of vehicles and drivers, related to the overall transport performance. Fixed, periodic and systematic linkages in the operational concept can achieve higher productivity of vehicles and personnel. Article explains the application of these techniques in the optimization of urban bus transport in the Czech town Jindřichův Hradec. In nowadays, reducing emissions of the nitrogen oxide (NOx) in diesel engines become a principal goal for the future. The new technology Lean NOx Trap (LNT, is also known like NOx adsorber catalyst (NAC) or NOx Storage and Reduction (NSR) catalyst) can be applied on passenger cars, light and heavy-duty diesel engines to reduce NOx emissions substantially. The NOx emissions are absorbed onto a catalyst during lean engine operation. After the catalyst is saturated, the system is regenerated in short periods of fuel rich operation during which NOx is catalytically reduced. 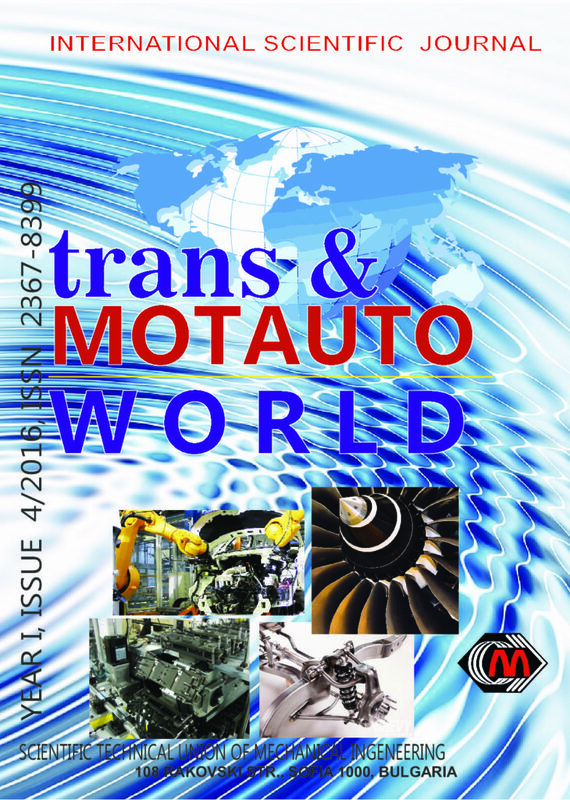 This paper presents a literature review about the function and importance of LNT as the new aftertreatment exhaust system for reducing the NOx emissions of the new generation of diesel engines. New educational standards involve significant changes in the structure, content, aim and tasks of education. The article deals with the results of investigation of peculiarities of the method of projects usage in the theory of teaching a future agricultural engineer in higher education institutions. The method of projects in educational technologies provides solving an agricultural problem and it is directed into achieving a specific result that can be publicly presented and transferred to a customer. The main achievement is a creative research project that demands integrated knowledge, investigation for getting significant results of theoretical and cognitive character and practical character. Such project should be vital according to the chosen topic, problems and tasks, methods of investigation, sources of information, hypothesis and ways of solving the given problem.